The UK’s Health Protection Agency is reporting an increase in reports of whooping cough (Bordetella pertussis) over what was observed in 2011. 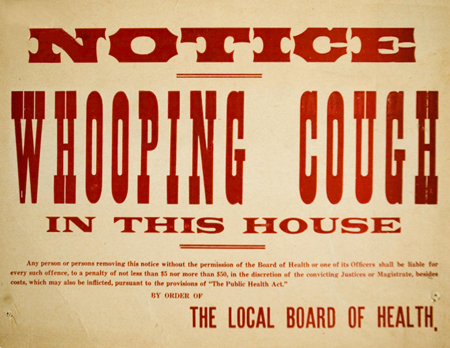 There have been 655 cases of whooping cough in England so far in 2012, while there were 1,040 cases in 2011. The cases are all across England, but with clusters in schools and universities. Again, whooping cough is a serious disease for children with complications that include death. Although it can be treated with antibiotics, it can be easily prevented with a vaccine. Pertussis cases on the rise in England | Vaccine News Daily.